The Zvezda shipyard needs orders for 160 vessels to operate stably and profitably. Today it only has 36 contracts, Rosneft CEO Igor Sechin said during his meeting with President of Russia Vladimir Putin. According to RIA Novosti, the Zvezda shipyard was established by Rosneftegaz, Rosneft and Gazprombank at the Far Eastern Zvezda plant in Bolshoi Kamen. The project includes the construction of a heavy slipway, assembly forms, dry docks, full-cycle production floors and assembly floors to build all types of sea vessels and oil rigs for the Russian shelf. "Rosneft's order book with Zvezda now includes 25 vessels, and binding shipbuilding contracts have been concluded to build them," Sechin told Vladimir Putin. "We need about 160," he added, answering the president's question about the number of orders needed for stability and profitability at the shipyard. 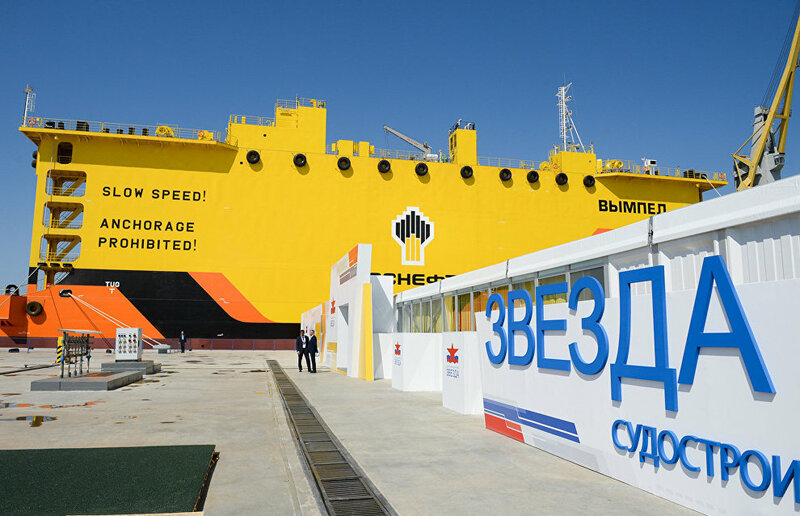 "As I mentioned earlier, Rosneft has laid down the keel for 25 vessels, including four supply vessels of reinforced ice class and 10 Aframax vessels using natural gas motor fuel just for transporting raw materials along the Northern Sea Route. We began the construction of 10 shuttle tankers with the deadweight of 110,000 tons which are part of a new project. The total deadweight of the vessels commissioned by Rosneft exceeds 2 million tons, and most of them are designed to operate in the Arctic. We have confirmed contracts for 36 vessels. In addition to orders by Rosneft, it also includes Gazprom with five ships, Sovkomflot with five ships and Rosmorport with one ship," RIA Novosti reports citing Sechin. This January Rosneft reported that the number of projects at the Zvezda shipyard had increased 42 percent in the last six months of 2018.